Paramount Pictures isn't going to take a rest when it comes to continuing their Ethan Hunt franchise. The studio has officially announced that Mission: Impossible 7 and Mission: Impossible 8 are going to shoot back-to-back, with the first coming in 2021 and the second coming in 2022. Mission: Impossible - Fallout was one of the summer's biggest blockbusters, and Paramount wants to continue the momentum, bringing back director Christopher McQuarrie and star Tom Cruise. McQuarrie is signed to write and direct both sequels, which will release in their perspective summers. The production process is being compared to that of Marvel's Avengers: Infinity War and Endgame, which were also shot back-to-back. The hope is to take advantage of the continuing popularity of the franchise. The series is taking a break from 2021, so that it doesn't compete with Tom Cruise's other Paramount sequel Top Gun 2: Marveick, which has been shooting for a couple of months already and is set for next year. Tom Cruise's deal carrying him through Mission: Impossible 8 has also officially closed. During his most recent interviews, Christopher McQuarrie hinted that he was ready to move on, and wanted to try something else for a little while. He had his eyes set on the Without Remorse adaptation, also at Paramount, which stars Michael B. Jordan as John Clark. He was also considering directing a DCEU movie for Warner Bros., but passed to continue his work with Tom Cruise. This past summer's installment of Mission: Impossible, the sixth movie in the series, brought in an incredible $790 million worldwide. Fallout is now the highest grossing movie in the franchise. Paramount didn't want to lose their winning team while they could still have it. McQuarrie is going to get cracking on the screenplay while Tom Cruise finishes shooting Top Gun 2. 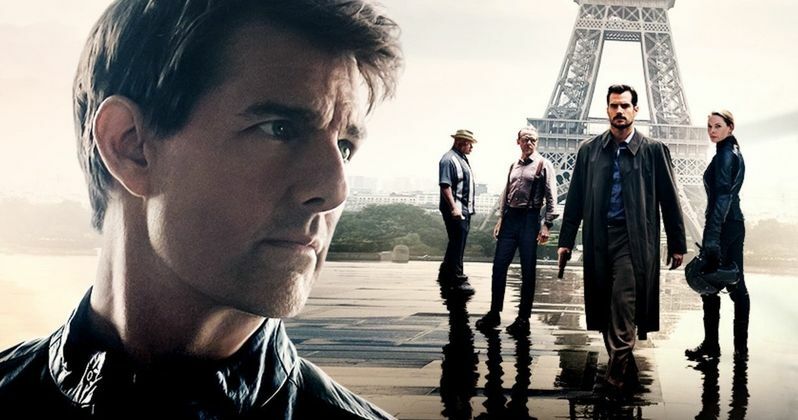 No production start date is confirmed for either sequel, but Mission: Impossible 7 will need to start shooting sometime in 2019, before the end of this year. The first few sequels in the big screen Mission: Impossible series had distinctively different directors and styles. Paramount has decided to settle on McQuarrie in a move that some are comparing to David Yates, and his work directing the last several Harry Potter installments and the Fantastic Beasts spin-offs.